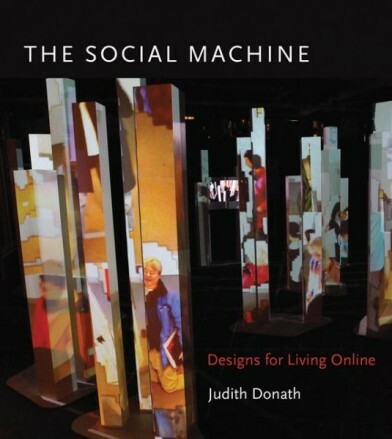 Judith Donath synthesizes knowledge from urban design, evolutionary biology, and cognitive science to design innovative interfaces for online communities and virtual identities. A Harvard Berkman Faculty Fellow and formerly director of the MIT Media Lab’s Sociable Media Group, she is known internationally for her writing on identity, interface design, and social communication. She is the creator of many pioneering online social applications; her work and that of the Sociable Media Group have been shown in museums and galleries worldwide. She is the author of The Social Machine: Designs for Living Online (MIT Press, 2014). Her current research focuses on how we signal identity in both mediated and face-to-face interactions, and she is working on a book about how the economics of honesty shape our world. She received her doctoral and master’s degrees in Media Arts and Sciences from MIT and her bachelor’s degree in history from Yale University.